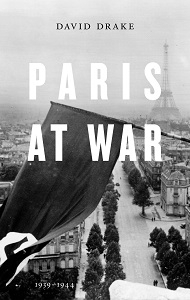 AS THE Nazis neared Paris they sparked a panic that saw hundreds of thousands streaming daily out of a city that was defended by only two battalions of Senegalese troops, four platoons of state riot police and a few tanks. Using diaries from the time, the author tells how sceptical Parisians viewed the sight of its government calling on the “Arch­angel Michael and Saint Joan of Arc to fight alongside the French soldiers”. They voted with their feet. In total, between eight and 10 million people joined the exodus from the advancing army. First the “sumptuous and fast American cars driven by chauffeurs in livery... then the older, less smart cars driven by petit-bourgeois and their families... then came the cyclists”. Following the timeline of history, the stories tell personal anecdotes that build a greater picture; of collaboration and some defiance, of the rising state of fear for both occupier and occupied from Resistance attacks and reprisals; but overall of a passive collaboration.